Get A California Title Loan! There are a few different options available to you when it comes to applying for a title loan. You can apply online through this website or you can call in to the number provided. The online application process will take about 15 minutes to complete. Once you submit the application you will receive a follow up call to confirm if you have been approved. If you decide to call in you can expect the process to last a similar amount of time. You may have to submit a few documents after you complete the online application. These documents can include a copy of your California drivers license and pink slip. Some companies that provide loans online may want to verify your currently employment status and past credit history. This process can be quick but issues can arise if the vehicle is not completely paid off or if you have past bankruptcies or current title loans outstanding. 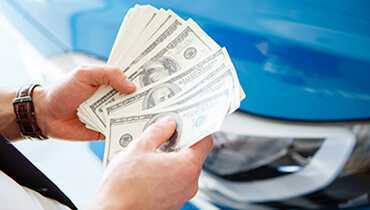 The process of getting cash for your vehicle in California couldn't be simpler. Once the title loan docs are verified and the car is inspected you can expect a final approval within a short amount of time. Upon the lender signing off you can generally ask for your cash to be sent within one business day. The lender will need to take possession of your pink slip and verify the condition of the vehicle. This process can sometimes be done in person when you pickup the cash. Here at CaliforniaTitleLoans, we know what it takes to get approved for online financing here in California. We've all been in the situation where we needed cash in a short amount of time. We understand that the equity lending process doesn't need to be difficult. Our site is geared towards consumers in California and we do all we can to streamline the application for state residents. Feel free to explore our site and us the many resources that are available to you. Don't hesitate to ask us lending related questions or leave feedback on how we can better assist you. It shouldn't be difficult to be approved for an auto title loan. It helps to know how the process works and what you can do to increase the odds of approval. That's where we come in. We can help California residents better understand what it takes to get approved. Getting approved for auto title loans is much different then if you were looking for a payday loan or cash advance. The approval process is much easier once you know what lenders are looking for and what they require. Use this site to increase your knowledge about everything related to title loans in California. Unlike bank loans, you can be approved for a car title loan in less than 24 hours. Most companies will call to verify information upon receipt of an online form or application. At this point they can issue preliminary approval contingent on vehicle inspection. Having bad credit is not necessarily a problem when it comes to getting a car title loan in California. Most lenders value other aspects while underwriting your loan. These include employment history, vehicle condition and the amount of equity available. 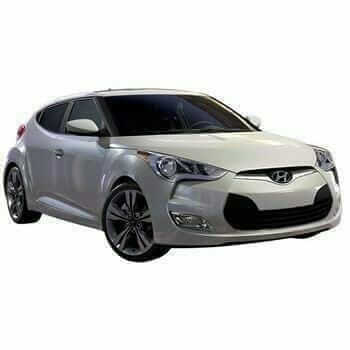 Most legitimate car title loan lenders in California will let you payoff a loan at any time with no prepayment penalty. This is important at it can save you huge amounts of money over the life of the loan that otherwise would have gone to interest payments. Nearly all online title loan companies in California will let you keep possession of your car during the life of the loan. Be sure your lender is one of these companies! Read the entire contract and make sure they don't put a tracking device on your car. Where in CA can I apply for a pink slip loan? You have a few options when it comes to applying for a car title loan. 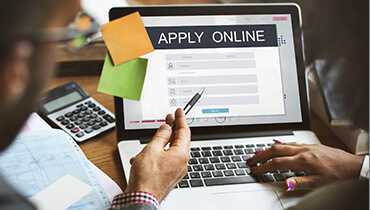 You can apply online, right at this website. Or you can call in and speak to a rep who can walk you through the process. You can also apply for pink slip financing with your neighborhood equity lender. It all comes down to what you feel most comfortable with. What documents do I need when applying online? It's most important to grab your vehicle's pink slip. You'll also need your drivers license information and relevant vehicle information. Some companies will require information that relates to any past loans and current employment. Be sure to contact customer service after submitting your loan application to get an exact list of required documents. I cannot find my pink slip. Do I need this to ensure approval? It will be a problem if you can't find any record that details the current status of your vehicle's ownership situation. Sometimes you can access this information online. Most DMV's in California will let you look up lost details but it could take a while for them to send a car title. There's always the option of payday loans online if you can't find your vehicle title. Do I keep my vehicle if I take out a car title loan? Most of the larger lenders will let you keep driving the vehicle. Some will require some type of assurances, but typically the pink slip will be enough security for them. They understand you wouldn't be able to get to work and pay back the loan without proper transportation. Check with your lender to ensure this is the case. It's important that you make your monthly payments on time to avoid any chance of losing your vehicle to a repossession. 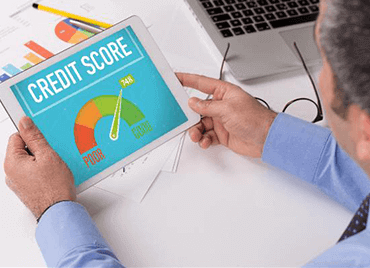 Do I need good credit to qualify with a CA lender? The good news is that you don't need good credit to gain approval for financing in California. These online title loans carry high interest rates and fees because you're handing over your auto title as collateral. That's why lenders don't put much emphasis on your credit score history or past lending decisions. You still need to disclose your credit history on your loans application and some firms may still have issues with bad credit. But most lenders will be fine knowing you are actively employed with a clear pink slip. What time frame can I expect for an online loan approval? Most online companies in California can approve you for a title loan within 24 hours. This means they will process your application and visually inspect the vehicle. Once they've given final approval you can expect to get cash within one business day. Applicants that live in metro areas like Los Angels and San Francisco can also apply with various retail lenders. By doing this you can meet face to face and possibly get a better understand of how a title loan works.